Lounge in the lap of luxury at the Royal Myconian Hotel and Spa, a 5-star Grecian getaway. 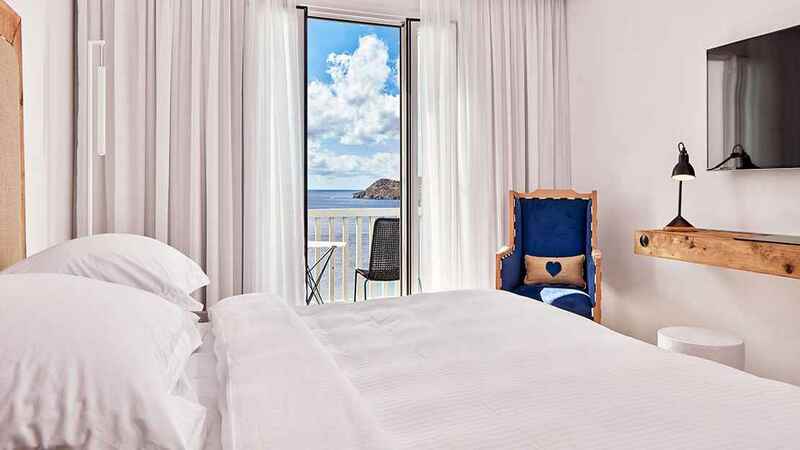 With luxuries such as a sun terrace with panoramic vistas of the blue-flag beach below, opulent rooms with touches of beach-chic and a tempting selection of authentic fare, it’s the perfect option for a heavenly holiday hideaway. 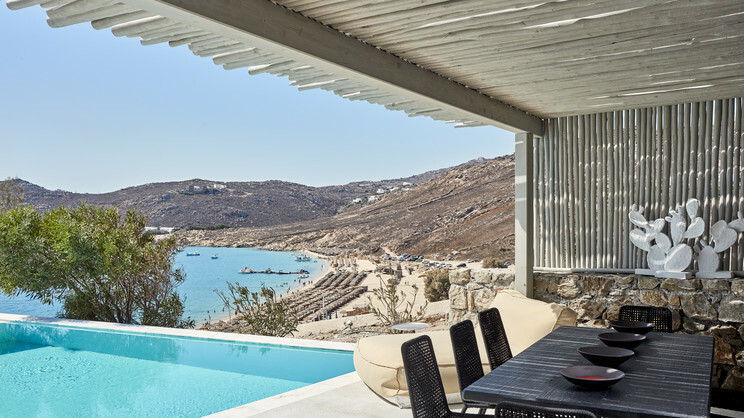 Soak away your worries in the sumptuous spa, or instead take advantage of the complimentary shuttle bus to Mykonos Town and discover authentic local life and the iconic ancient windmills. The hotel is just steps away from a blue-flag awarded sandy beach. 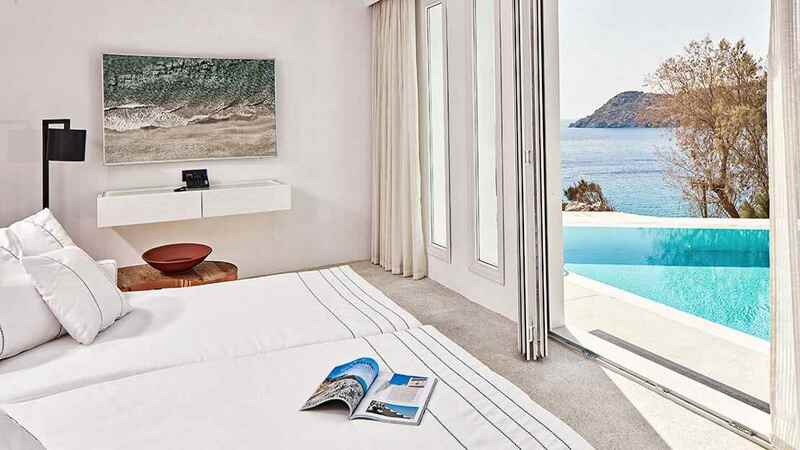 The hotel sits in a beautiful beachfront position on the south of Mykonos island with all necessary amenities onsite. There is also a free, luxury shuttle service to Mykonos town. Mykonos International Airport is approximately 10km away from the Royal Myconian Hotel and Spa. 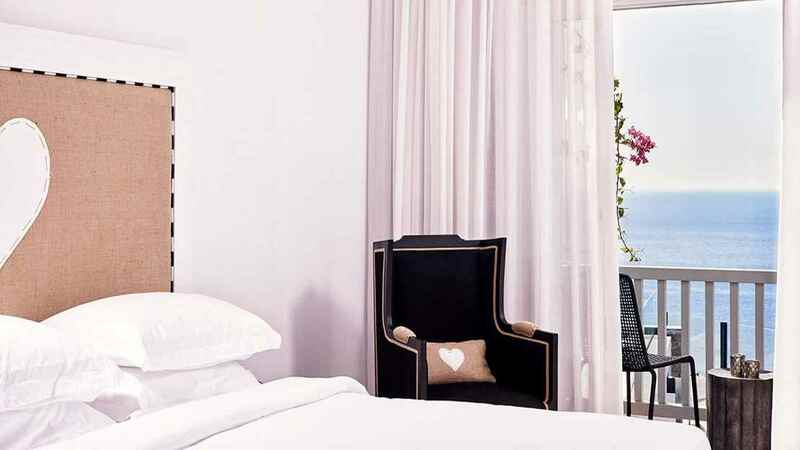 In-room dining is also available at the Royal Myconian Hotel and Spa.